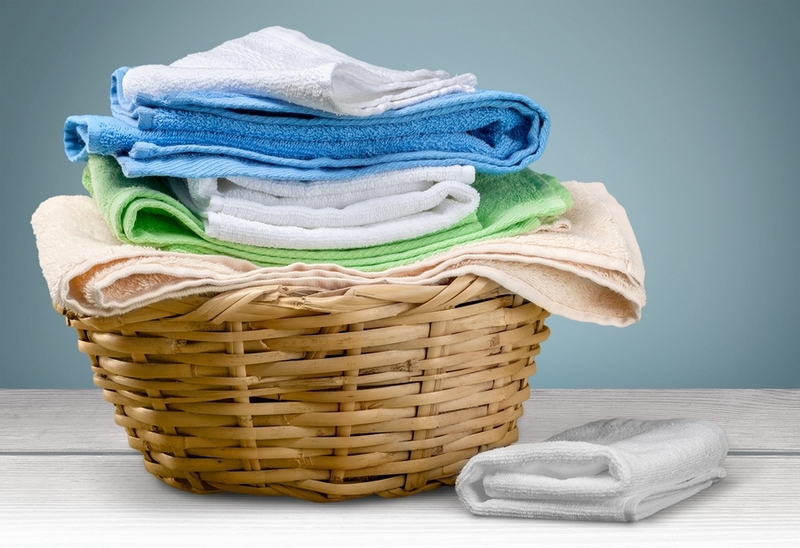 Home » Linen, Facilities, and Uniform Services Blog » Laundry Services » How Will You Manage Your Company Linen Cleaning? In industries like healthcare and food service, there are a number of ways for linens get soiled—ranging from patients with potentially infectious illnesses staying in beds and wearing hospital gowns, to restaurant employees gathering tough stains on their uniforms from spilled food and drink. While dirty linens may be something that most people come to expect as part of a restaurant job or hospital stay, it’s critically important for a company to have procedures in place for the proper cleaning and laundering of their linens. Linen cleanliness doesn’t just play a part in the overall presentation of a business—it also is required in order to remain compliant with industry cleaning and sanitation standards. Here, we take a closer look at the options available to businesses for cleaning their linens, providing both the pros and cons of each in order to help you determine which solution would best fit your business. Companies that choose to either lease or purchase their company uniforms and linens outright are also responsible for ensuring that dirty and soiled linens are regularly cleaned between uses. 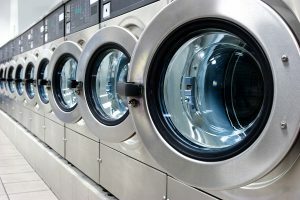 Usually, companies that find themselves in the position of needing to handle their linen cleaning in-house will make the investment in an industrial washing machine for their facilities, which are far more efficient than the standard home washer and equipped to handle the large-scale needs of a business. Making the investment in an industrial washing machine for in-house linen cleaning helps to ensure the consistency of your company’s presentation and cleanliness. With regular and uninterrupted laundering and maintenance for your linens, your company will never have to worry about being short on supplies. Handling all the laundry and sanitation for your company linens within your facilities ensures that any sort of contaminants remain isolated. In-house linen cleaning is especially important in industries like healthcare, as this keeps employees from bringing potentially infectious or harmful workplace germs home with them. A major downside to adopting an in-house strategy for cleaning company linens stems from the time that must be invested. Besides just the initial cost of an industrial washing machine, businesses will also need to pay an employee for the time it takes to manage the laundering of the company linen inventory, whereas with an outsourced linen cleaning company this is a part of your service. When a company assumes responsibility for the cleaning of their linens, this also means that they are assuming responsibility for ensuring their compliance with linen cleaning standards and laws. With strict OSHA regulations on bloodborne pathogens as just one example, it can become quite a nuisance to manage compliance while remaining focused on the core of your business itself. To better control the high costs of buying industrial washing machines, paying employees to manage laundry, and purchasing company linens upfront, many companies in need of regularly cleaned linens are instead working with external linen rental and laundry service providers. Rather than handling linens on-site and in-house, linen cleaning and laundry services help to create a constant cleaning cycle by regularly delivering clean linens on a daily or weekly basis. The company comes to your company’s curbside to drop off your clean linens, picking up the dirty ones to be cleaned before your next scheduled delivery. As the saying goes in business, time is money. By cutting out the cost of managing cleaning utilities and employees to do the laundry, your business will have additional financial resources available to use for other purposes that are more beneficial. Unlike when your company is responsible for managing linen cleaning itself, hiring an outsourced linen cleaning company guarantees your compliance with industry cleaning regulations. Since the core of a linen cleaning service’s business is built on their ability to deliver clean linens to customers, you can rest assured knowing they place high priority on compliance with industry standards. Generally, in order to work with a linen cleaning service, your company will need to sign a contract, which can be quite comprehensive. Since these contracts typically last anywhere between two and five years and are not easy to cancel, it’s important that your company carefully evaluate the terms of the contract in their entirety to ensure you are aware of any fluctuating costs, delivery fees, and the terms of linen repairs and replacements. Get Free, No-Obligation Quotes on Linen Cleaning Services Today! Cleaning your linens is a critically important aspect of a company’s linen management process, as it plays a large part in not just the presentation of a business, but also its compliance with industry cleaning standards and regulations as well. At Uniform Nations, we partner with a nationwide network of linen service providers who are able to meet the linen cleaning needs for businesses of all shapes and sizes. Whether you are looking to rent linens and outsource the cleaning to an outside service, or you are looking to purchase your linens upfront and are looking for an in-house industrial washer, Uniform Nations is your solution. To get started with setting up either an in-house or outsourced cleaning solution for your linens, just give us a call at (866) 467-4178, or simply fill out the form to the right of your screen to request free quotes on linen cleaning services today! Linen services offer companies a convenient strategy for ensuring that much-needed supplies like linens are always clean and on hand. In this in-depth white paper, we provide a breakdown of the different kinds of linen services and how their customizable scheduling and service options help to streamline your linen management processes. Deciding whether to rent, lease, or purchase company uniforms is a choice which depends on multiple factors and will offer benefits or drawbacks either way. With this white paper, we take an in-depth look at the pros and cons of all options available in order to help you decide whether investing the capital in uniforms upfront or signing a uniform rental contract is the best bet for your company. When it comes down to choosing between purchasing linens or a linen rental service, it usually is a matter of the industry you’re in and how your company values factors like quality, cost, and convenience. Here, we provide an outline of the benefits and drawbacks to both buying and renting in order to help your business decide the ideal linen service for your business.